Produktinformationen "Red Wing Card Holder Wallet 95037 Amber Frontier"
Red Wing Card Holder Wallet 95037 Amber Frontier. The folded card holder is a simple piece with a simple job: carry your businessor credit cards securely and handsomely. And it does both well, thanks to minimalist construction and durable leather choices. One slot for cards in each side fold against each other for superb security yet quick access, making this card holder a reliable companion you’ll be using for years to come. 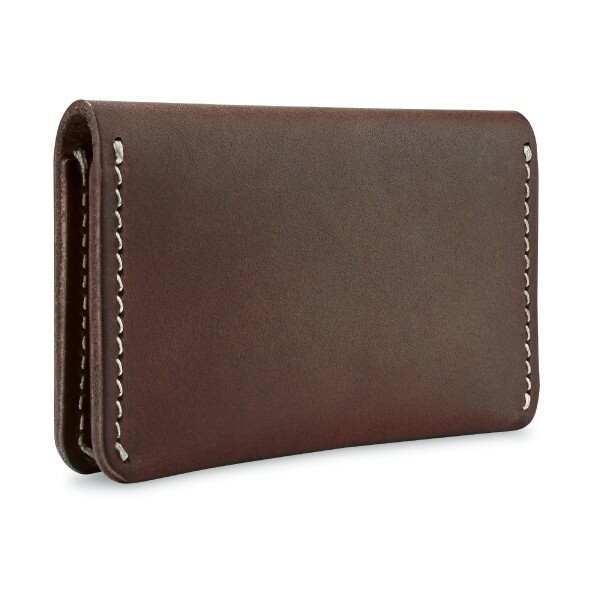 Weiterführende Links zu "Red Wing Card Holder Wallet 95037 Amber Frontier"
Kundenbewertungen für "Red Wing Card Holder Wallet 95037 Amber Frontier"